Updated for the new SoundCloud site! 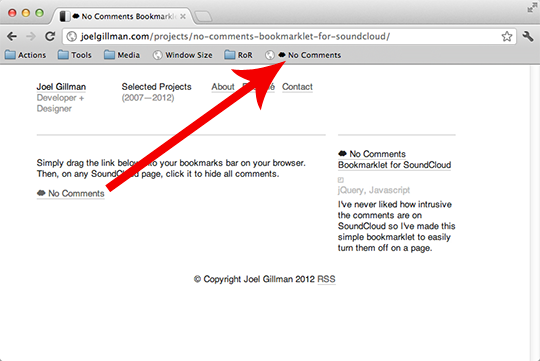 I've never liked how intrusive the comments are on SoundCloud so I've made this simple bookmarklet to easily turn comments off after you've opened SoundCloud. Updated for the new SoundCloud design! Simply drag the link below into your bookmarks bar on your browser. Then, on any SoundCloud page, click it to disable all comments.